Debut features arrive with a weight of expectation but especially if they come from a major thespian making his first foray behind the camera. Yoo Ji-tae is one of Korea’s most well-known actors, he is a celebrity whose marriage last December was one of 2011’s top entertainment stories. To western audiences he will forever be known as the ageless and dapper antagonist from Oldboy (2003) but he has also impressed in dozens of other features throughout his 15-year career. A handsome and very tall performer, Yoo is perhaps a surprising directorial candidate, especially as few Korean performers transition into that role (the boundaries between Korean film industry professions are starker than Hollywood’s more fluid models). However, Yoo has steadily been earning credibility for himself as a short filmmaker over the past few years. Mai Ratima, which takes its name from its Thai protagonist, is a film that takes a look at the fate of low-class immigrants in Korea. Hard-hitting and at times whimsical, it is a compelling feature that is thoughtfully constructed and deftly executed if overlong and a little too on-the-nose with its social agenda. 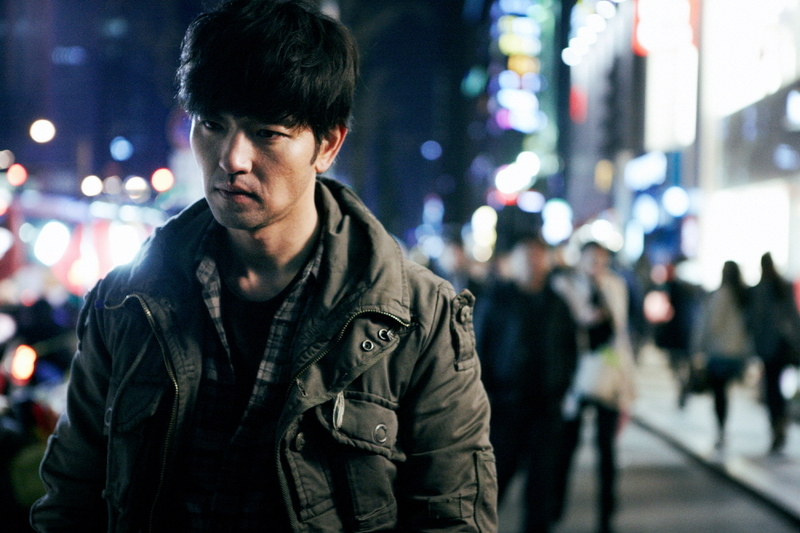 Most impressive is Yoo’s engaging mise-en-scene. Saturated in heady hues, beautifully lensed and exquisitely edited, Mai Ratima feels like it is the product of a much more experienced hand, certainly not a rookie offering from a paparazzi magnet. Yoo does get some help in the form of his many influences, which her wears on his sleeve. Aside from the clear French art cinema vibe of the picture, some of the film’s most striking scenes are clearly indebted to Wong Kar Wai and Yoo’s former director Park Chan-wook. As with many debut works, the film is not without its problems and in particular there are two things that prevent Mai Ratima from being an excellent film. At 123 minutes and with the absence of a significant plotline, it is far too long. A huge amount of well-known Korean faces (presumably friends Yoo has accrued over his years in the industry) emerge in small roles in what are for the most part superfluous scenes that could have been excised from the finished product. Various themes and narrative elements are also repeated a little too often. This brings me to the second point, which concerns the depiction of the plight of immigrants in Korea. There’s no question that what is shown on screen comes from a real place but Mai Ratima’s desperation as it is presented is relentless. Had Yoo excluded a few of her tribulations, the result would have been the same. With the help of some key influences, Yoo Ji-tae has crafted an assured and visually-compelling debut which, though not without its flaws, is a great portent of things to come. The film sounds interesting, and I'll certainly watch it when it makes its way here, but I can't help but be struck by the fact that Mai Ratima doesn't look remotely Thai - obviously because she is played by a Korean actress. I hope her Korean isn't perfect, because that would make it even less realistic. Bae Soo Bin ,what role plays in Mai Ratima?